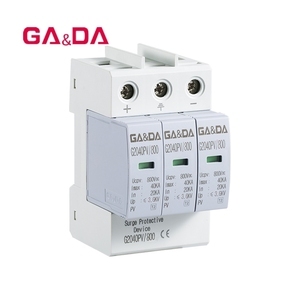 These units must be installed in parallel on the DC networks to be protected and provide common and differential modes protection. The OBV5-C40-PV DC series are made with plug-in modules to allow a fast and easy maintenance in case of fa-ilure (disconnection from the DC network). Q2. What&rsquo;s your main product9 A2. 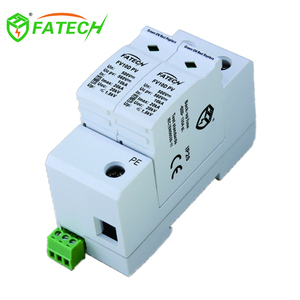 We have two product project, low voltage electrical and automation control items . 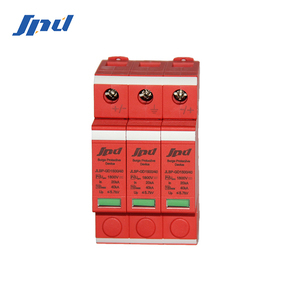 DC solar surge protection device spd 25ka Lightning arrester DPS The function of lightning and surge protection systems is to protect the devices, functional isolations and overvoltage-sensitive consumer equipments of energy distribution systems against all lightning and overvoltage damages. At most of types, the defected protection device can be made operative again by changing the damaged insert; these variants are also equipped with both optical operation signal and auxiliary status contact. 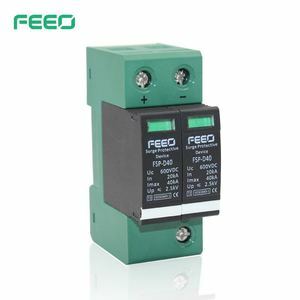 Technical data of auxiliary contact Model CAU4-40Z Rated operational voltage 600 VDC, 800VDC, 1000VDC Rated operational current 0.5A/AC220V Terminal capacity 1mm 2 Fexible/ 1.5 mm 2 solid Ambient temperature -40 &#8451; . 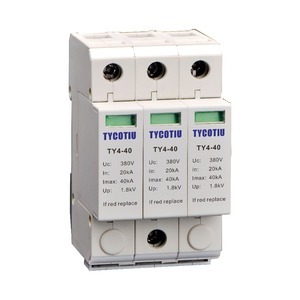 Specifications According to IEC 61643-31, type 2 DC SPD Max. Thousands of solar PV installations with 0 failure. 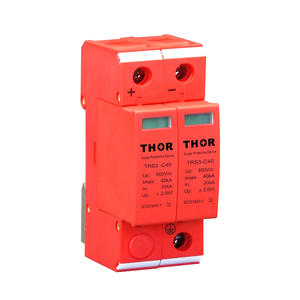 DC combiner box, DC safety solutions for all kinds of photovoltaic systems. Alibaba.com offers 488 solar surge arrestor products. About 66% of these are other electrical equipment, 7% are power distribution equipment. A wide variety of solar surge arrestor options are available to you, such as free samples, paid samples. 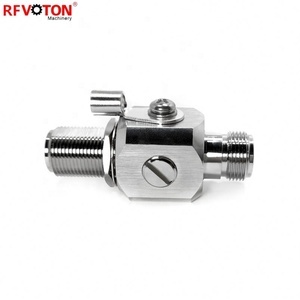 There are 422 solar surge arrestor suppliers, mainly located in Asia. The top supplying countries are China (Mainland), Canada, and India, which supply 93%, 5%, and 1% of solar surge arrestor respectively. Solar surge arrestor products are most popular in Western Europe, Domestic Market, and South America. You can ensure product safety by selecting from certified suppliers, including 342 with ISO9001, 248 with ISO14001, and 227 with OHSAS18001 certification.